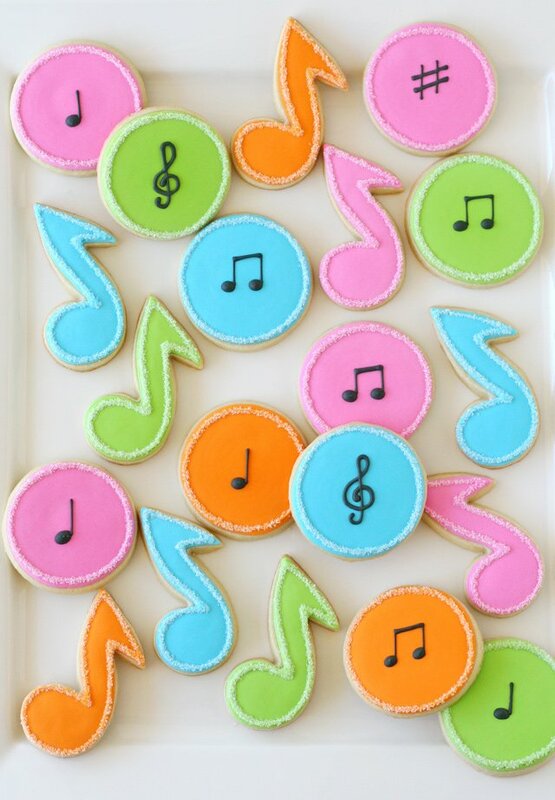 You don’t need to have any musical talent to make some “sweet” music with these Music Note Decorated Cookies! This week my younger daughter and I both had a piano recital. There were 10 students ages 5-13 who performed, and then one 37 year old student… that would be me! And let me assure you, I was not the most advance student of the group! 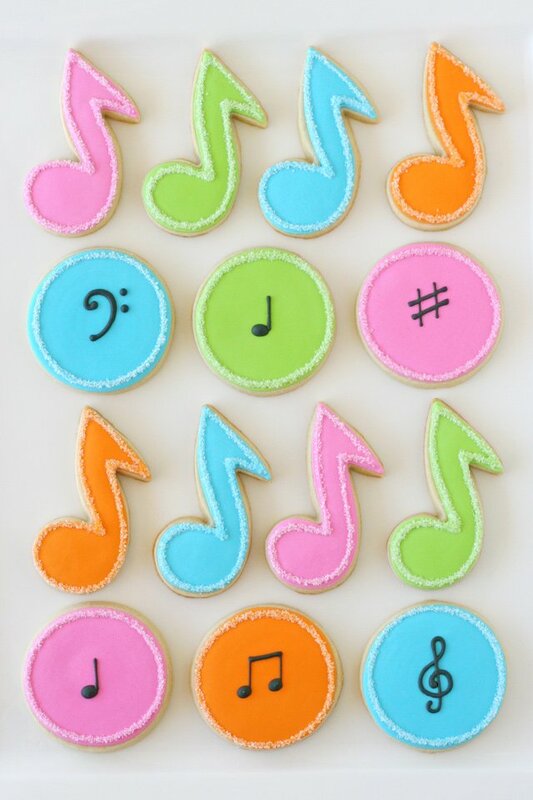 These music note cookies could certainly be made in any color combo… they would be great in school colors for a band concert, or simply black and white for a more formal event. 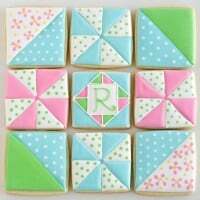 This set was inspired by these perfect music cookies from Bee In Our Bonnet. Start with a batch of cookies made from my Sugar Cookie Recipe. Prepare a batch of Royal Icing as well. For each design (the music note shape and the round cookies) I prepared two bags of icing in each base color (in this case, pink, orange, green and blue) and then one bag of black icing. The colored (not black) icing should be thinned so that one bag of icing is a thicker/outline consistency, similar to the consistency of toothpaste… thick enough it stays in place when piped, but it should not hurt your hand to squeeze the bag, or be so thick that it leaves peeks of icing as you lift up on the bag. Add this icing to a piping bag fitted with a #1.5 or #2 piping tip, filling the bag with a bit less than 1/2 of the icing of that color. Once you’ve prepared the bag of thicker icing, add a bit more water to the remaining icing (of that particular color) and thin to a flood consistency, about the consistency of shampoo or corn syrup. This should be thin enough that when piped it flows easily and fills in on itself. Add this icing to a piping bag fitted with a #2 tip. For each cookie, outline the cookie with the thicker icing, then fill in with the thinner/flood icing. You might notice I mentioned piping tips in the directions, and yet in the Instagram photo above you can see I’m using bags without tips. Feel free to go either route. I have recently be using tipless piping bags from Truly Mad Plastics and am really enjoying them! You fill them with icing, then cut a tiny hole (as big or small as you wish) and can use them just as you would a bag with a metal tip. I love that there is no clean up and I actually have found that for tiny details I like them even better than using a small tip (such as a #1 or #1.5). Again, either way (tips or tipless bags) you can achieve the same end results, it’s just personal preference or using what you have. 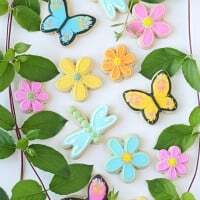 If you are new to cookie decorating, I would recommend looking through a few of my step-by-step tutorials HERE, HERE and HERE. Allow the base icing to dry fully (4 hours or more) before adding the black details, or adding an outline to top with sanding sugar (as pictured). You may (or may not) have noticed it’s been a couple weeks since my last post (which is quite unusual). All is well here, and I have LOTS of ideas in mind I would love to share… but time seems to be my enemy these days! As of this week, my girls will be on summer break and it seems near impossible to be the mom I want to be and blog full time simultaneously. I do plan to share some sweet and pretty things on the blog this summer, but my posting will likely be a bit less frequent than usual. Of course I have SO many recipes in my Recipe Index, there should be plenty to keep you busy all summer! Absolutely love! love! love! You truly have a gift! Thank you for sharing your beautiful creations with us. These are so lovely! 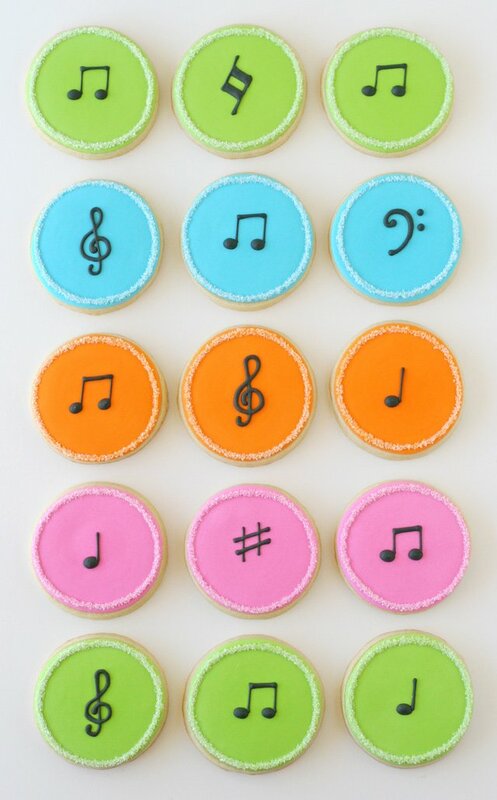 What a great idea, I’m sure my musical sisters would really love these! I’d certainly be willing to overlook a few musical missteps if I were treated to such a sweet diversion! ! ! Great idea! Whimsical musical notes –love everything you do! Your pink ombre cake was a hit at my sister’s 40th b-day dessert table! I love these!! So simple, yet so cute! 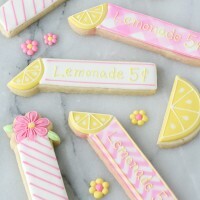 These cookies are adorable Glory! 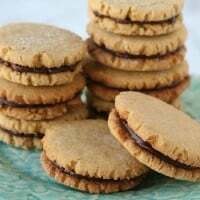 I feel like they would be fun for a tea party too…classical music playing in the background, eating these sweet cookies – that’s my idea of a fun afternoon!